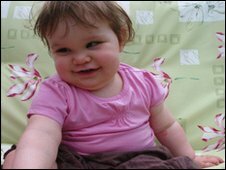 The parents of a girl with sight problems have given up plans to take their daughter for stem cell therapy. Lauren and Nick James’ daughter Imogen suffers from an underdeveloped optic nerve which makes her virtually blind. Her parents believed this treatment would work miracles on their daughter’s sight. They raised over £28,000 to pay for the operation but will now return the money and give the rest to charity. Stem cell therapy aims to replace or repair damaged cells but according to the NHS ”the range of diseases where stem cell treatment is proven treatment option is still quite small”. Adult or Repair “stem cell treatment is (a) proven treatment option” in over 170 diseases (not very small)…in about ~2000 clinical trials, ~30-40,000 scientific papers and thousands of success stories. Nat’l Health Services or NHS provides treatments to patients so their commenting on competing medical options is extremely suspect and a conflict of interest. I recently commented on an NHS article on MS with “More Info about MS and Stem Cells – https://repairstemcell.wordpress.com/2009/09/02/multiple-sclerosis-and-stem-cells-need-more-info/ ” My comments were removed. But then the doubts set in. “Obviously during that time we were doing a lot of research ourselves but the more and more we dug into the stem cell therapy the more answers I wasn’t finding. “I was finding a lot of questions, but I wasn’t finding any answers and unfortunately the company we were going to see, they were sort of evasive with the answers in a way, but I found out from speaking to doctors in the UK that they don’t have the answers either – no-one has.” The treatment itself involves using an intravenous drip to feed the stem cells into the body, or by using a lumbar puncture . I have seen the answers that this treatment center (one of the most reputable treatment centers in the world) gives. They are respectful and honest and they are unwilling to make forward looking or optimistic statements. Interested patients receive the facts and nothing more. They will give you the results and experiences and data but no guarantees or promises because they can not and will not out of responsibility to their patients and their own integrity. This is not evasive, this is the way it should be! I feel terrible for the Jameses. I wish them the best and hope Imogen’s condition improves every day. I hope they don’t regret this decision for the rest of her life…but I’m afraid they will. I hope they don’t become convinced in 2 months that stem cells are the way to go…but I’m afraid they will. I hope they have read everything available on stem cell treatment of optic nerve hypoplasia [ https://repairstemcell.wordpress.com/?s=optic+nerve ] …the story of Macie Morse who went from legally blind to driving a car, the story of American Idol candidate Devin Riley, the story of the 40 or 50 more (and counting) ONH, SOH and MD (macular degeneration) patients whose sight has improve considerably since stem cell treatment and whose quality of life improvements are off the charts. ARE STEM CELL TREATMENT BENEFITS MERELY A PLACEBO EFFECT? The NIH obviously does not completely understand placebo effect because they are currently funding several studies related to the placebo effect. Side note: the opposite of a placebo effect is a “NOCEBO” or “negative effect.” This is when the patients report that they are getting worse or that unpleasant side-effects have occurred, a word derived from the Latin “nocere”, meaning inflicting damage. Turn on the TV and you will see commercials, over and over, describing the negative effects of drugs. What are the chances that current drugs, with their associated laundry list of complications broadcasted over and over on the TV everyday are causing NOCEBO effects? Well, if NOCEBO are dependent upon the patient’s expectations of negative effects…I would guess that there is an epidemic of NOCEBO’s all over the US. And the coup de gras? The last line is always: “Ask your doctor if xyz-drug could help you,” feeding directly into that concern. Multiple studies have shown that only 30% of the population responds with a placebo effect. ~70-75% of those treated with repair stem cell treatments typically have a beneficial response to the treatment. Even at the lower number of 40-45%, that ain’t bad considering a drug’s effectiveness requirement is in the single digits for it to pass FDA requirements and be brought to market!! Let’s assume the benefits are all placebo effect. Here are a few questions and cases that confuse me. congestive heart failure patients doubling their ejection fractions? MS patients recovering from their symptoms for 2, 3, 5 years ? type 1 diabetics (insulin dependent) halving or completely going off their insulin for 2-5 years? How can we explain the case of James Eilert? 40% of his left ventricle was totally dead. Two months after treatment he did a follow up metabolic stress test using the standard Bruce protocol and scored 10.1 mets with a vo2 of 32. This was a 20% and 12.5% increase! The doctor that had done his prior test blurted out “absolutely stunning!” This put him in the 95th percentile for men his age (out of a 100 men his age, 50 of them could not match the performance of a guy with 40% of his left ventricle dead!). How can we explain the case of Dallas Hextell? Can a 2 year old really expect to be cured of his Cerebral Palsy by a repair stem cell treatment? Can a 2 year old even understand these concepts? How do you explain Macie’s story and Kenidee’s story? Wednesday, July 30, 2008 – One more spinal next Wednesday. I have a spinal tomorrow as well at 2 so that should be good so after my six hours is up I can go to bed because your not really suppose to move to much even after the six hours. Friday, August 1, 2008 – I’m all done with the spinal I slept for 4 hours thankfully. It was a bit different this time. I woke up in the room where they made me go to sleep, for a few minutes I thought that I had some how woken up before they gave me the injection, after a few minutes I realized they had kept me until almost all of the anesthesia wore off. Thursday, August 7, 2008 – Hey everyone! I am so sorry I haven’t been updating lately. Yesterday was my last spinal, everything went great, the IV went great too, it only took one poke and I didn’t even really feel it. I am all done with all my treatments and I will be coming home on Monday 🙂 🙂 I’m so excited to come home I’ve been coming up with every little reason I can think of to start packing. Being on this long trip here in china has definitely changed me and given me the hope that a few months ago I didn’t even think was possible. Going through the treatments was tough at times and a few times I thought is this a good idea should I wait but once you get over that hill it all seems to just get better and better. Now my dream of becoming a vet and driving is stronger than ever and I now I know that even if I have to do another round of treatments that someday I am going to drive and I will be a vet. Before I never thought that that would be possible. Sunday, August 10, 2008 – Mom’s post!! – Well, I can’t believe in about 12 hours we will be headed back to the United States. This has been the most amazing chapter in my life as an individual and as a mother. One month ago I brought my little girl half way around the world in the hopes of improving her vision and I feel that we have succeeded. After two treatments we saw signs of improvements with her nystagmus (rapid and involuntary eye movements) and after three injections Macie had noticed that she had more distance when reading or writing. We didn’t have any expectations for improvements while we were here in China because we were told that it usually takes some time, possibly up to three months to see any changes, so we were very delighted with our early surprise. A little gift from Heaven if you ask me!!! It’s been so great to watch Macie with this big old smile on her face when she’s reading or writing and not having to be so close to do it. She keeps telling me how she never thought it would be possible and now here she is. We are so thankful for this to be happening. While we were here, we had Dr. Tony who did a great job with Macie and was very good about keeping Macie’s spirits up when she needed a little boost. The other doctors that worked with us were Dr. Ma, Dr. William, Dr. Lisa and the king of the doctors according to Macie, Dr. Bing. He is fabulous. This guy was like a pot of gold to us, he has pretty good English, a great sense of humor and very personable. Dr. Bing was great to communicate with. He was also very good to answer all and any questions you had. We had countless nurses that we had so much fun with. They try so hard to talk in English. Yolanda was great because she would boss Macie around when she didn’t want to mind me. Thanks Yolanda!! Fiona and Jessica are the little sweethearts and then we had several more who we loved!! The staff here is so amazing. We have had so much fun with our translators from the treatment center. Every translator is unique and special in their own way and can make your stay here so. They are all our favorites!!! However, Mr. Happy Jack is something you just have to experience. He is the most energetic character I have ever met in my life. Jack you are a rock star!! All in all our trip to China to me was very successful and I’m glad we did it and took a chance. Anything to help Macie gain some vision is worth it. I have no regrets of doing stem cell injections and look forward to the future of regenerative medicine. Thanks to everyone who helped make this possible, we couldn’t have done it without all of your help. Saturday, December 27, 2008 – Improvements – It’s been about 5 months since we got back. Since we have been back I have noticed some life changing differences for me. I have noticed that now I can see the outline of the tree tops on the mountains, a bunny in the pasture while I was riding, seeing snow fall, being able to watch T.V. while sitting on the couch, read a good distance from the book, school work is easier to do, I’m able to see the board from the second row. All of these improvements make me think of how much going to china was worth it. I know that if mom and I had to go again we would. It was totally worth it. I have an eye check up on Monday to see how everything is going. We’re hoping that I will have enough vision to drive with a special pair of glasses, trying not to get our hopes up to high but were definitely keeping our fingers crossed. I’ll update soon. I got my permit 3 days after my birthday! Though both said they were nervous about the new treatment, they knew it was their only chance to see Morse’s life improve. She had few friends, bad grades and didn’t know where else to turn. “I was scared and nervous, but I tried to be strong and to be like ‘this is my opportunity. I’m ready to do it,’ ” Morse said. She received spinal injections of cord blood stem cells each week for six weeks. After her third treatment, she realized she could read and knew the treatments were working. “I yelled, Mom, stop talking, you have to see this,” Morse said. She made her mother write out words on a piece of paper and hold it far away so she could read it back to her. Over the next few weeks and months, her vision gradually improved. “I saw snow fall for the first time,” she told CBS4’s Shaun Boyd. “What has been the most beautiful thing?” Boyd asked Morse. “What was it like when she said ‘You have green eyes? '” Boyd asked her mother Rochelle. Macie Morse, a 16 year old from Colorado, has made dramatic improvement in her eyesight after receiving Adult Stem Cells taken from cord blood to treat her Optic Nerve Hypoplasia. In yet another victory for stem cell research, Macie now has her driving learner’s permit after being almost totally blind before the stem cell therapy. EL PASO — Lawrence E. Brown III easily spotted and then picked up a bottle of sunblock a friend dropped Wednesday afternoon. For most people, it is insignificant. But for Lawrence, 16, who has been blind since birth, it was an exceptional moment. For him and his family, a gamble on a Chinese stem-cell procedure to treat his blindness is beginning to pay off. The procedure is not available in this country and is met with skepticism by many American doctors. No treatment exists for Brown’s condition, said Dr. Michael Repka, pediatric ophthalmologist at Johns Hopkins Hospital in Baltimore. 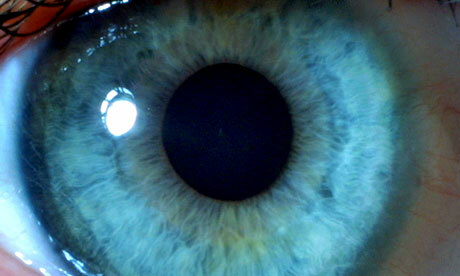 Brown was born with optic nerve hypoplasia, an underdevelopment of the nerves in his eyes. Before his family left to Qingdao, China, on June 20, his vision was little more than limited perception of light, color and shadowy masses. He and his mother and sister spent six weeks in China so that he could undergo nine stem-cell transfusions intended to stimulate the growth of his optic nerves. The cells were delivered intravenously on his arm or injected directly into his spine. He received acupuncture and electric wave therapy to help stimulate the cells’ work. “I didn’t expect for it to go as far as it has, and I’m just wondering what the heck is going to happen in the next nine months,” Lawrence said Wednesday. He jokes that he is part Chinese now that he has received the transfusions. To measure his progress, Georgina A. Brown shows her son flashcards. On one card, Lawrence saw six blobs a few weeks ago. Now, he can see six circles. On another card, a nearly 7-inch-tall letter L that he first saw in China now seems a little too big when held about seven inches from his face. He can now make out a nearly 5-inch-tall letter B from about the same distance on a computer screen. His mom quizzes him often with the cards or other objects that happen to be around. Lawrence has always read in Braille and is just starting to learn the letters by sight. He is spotting colors more easily and is beginning to discern the different textures and angles of objects. And his nystagmus, or rapid and involuntary eye movements, has lessened dramatically. “I didn’t expect this (all improvements), but I hoped for it,” he said. He hasn’t yet been evaluated by a doctor to gauge his improvement, but he said he didn’t need the professional confirmation to know the procedure is working. The Browns said they’re not optimistic that Lawrence’s local doctor will declare the procedure a success. While in China, they tried to make the most of the new cultural experience. With the help of a translator or simply through hand movements reminiscent of a game of charades, the family navigated their way through markets and parks and visited a temple, zoo and aquarium. They shied away from eating much meat because it often appeared uncovered and not refrigerated at neighborhood markets. At street markets, they saw displays of animal internal organs, roasted dog heads, bugs on skewers and stinky durian fruits. Georgina Brown said it was much like being on Anthony Bourdain’s “No Re servations” television show that appears on the Travel Channel. “We were going to eat bugs, but I couldn’t do it,” Lawrence said. Georgina Brown said she was excited that her family could have that cultural experience. “I think it gave them a different outlook on the culture itself to know how much we have here and how fortunate we are,” she said. They learned a little more about the world than many visitors to China by socializing with other families at the hospital who traveled there from countries such as Libya, Switzerland, Ireland, England and Romania. The Brown family returned from China on July 31. Lawrence has spent all day every day this week at band practice at El Paso High School. He will start his senior year of high school there in two weeks. Meanwhile, the family is looking for someone to continue his acupuncture treatments in El Paso. They’re also in the hunt for a power converter that will allow them to plug Lawrence’s electric wave therapy machine into American power outlets. He is hopeful that he can return to China next summer to undergo another round of stem-cell transfusions. via Stem-cell therapy shows results – El Paso Times.